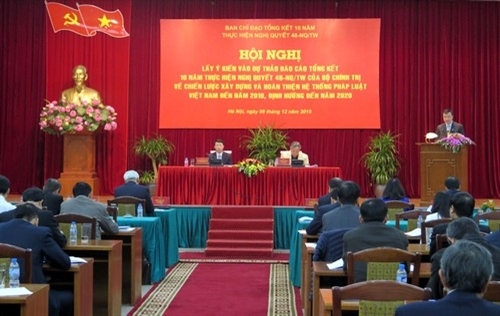 Vietnam’s legal system will be further improved with a view to institutionalizing the renewal line and policies stated in the documents of the XIIth National Party Congress. 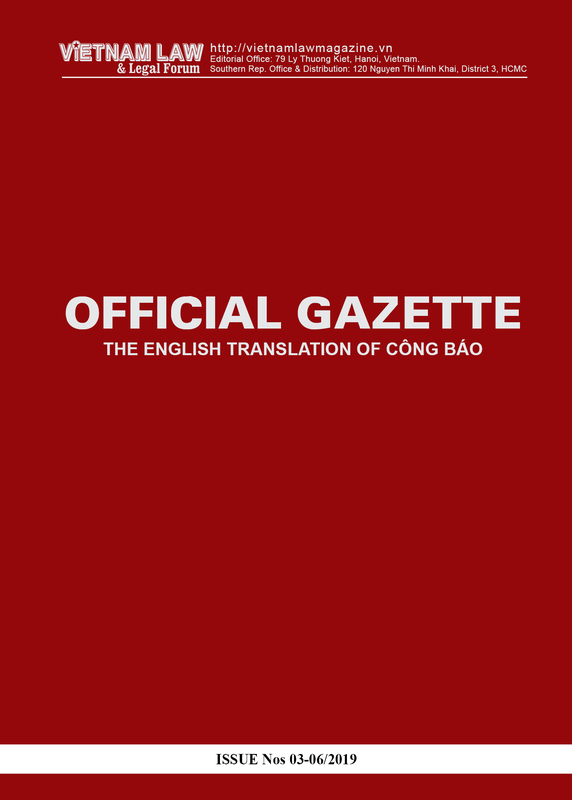 Such is required by the Political Bureau in a Conclusion issued early this month on further implementation of the Party Central Committee’s Resolution No. 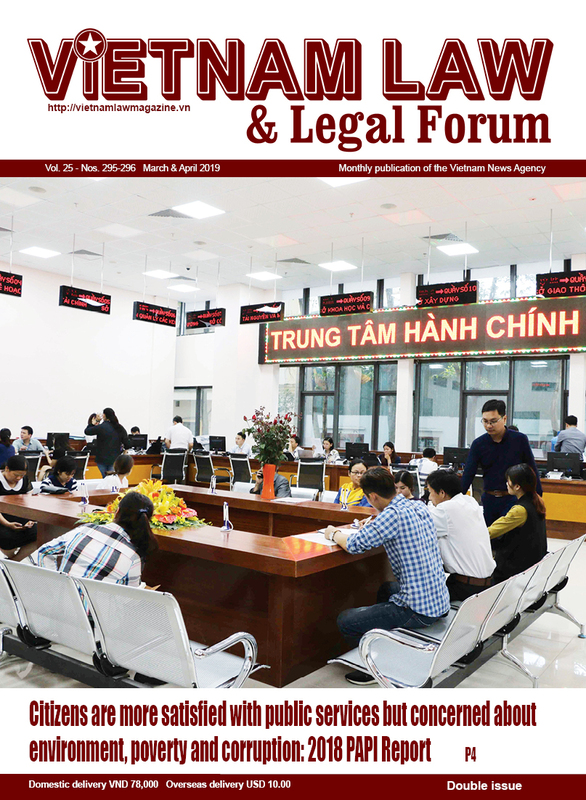 48-NQ/TW of May 24, 2005, on the Strategy for building and perfecting the Vietnamese legal system through 2010, with orientations toward 2020. According to Conclusion No. 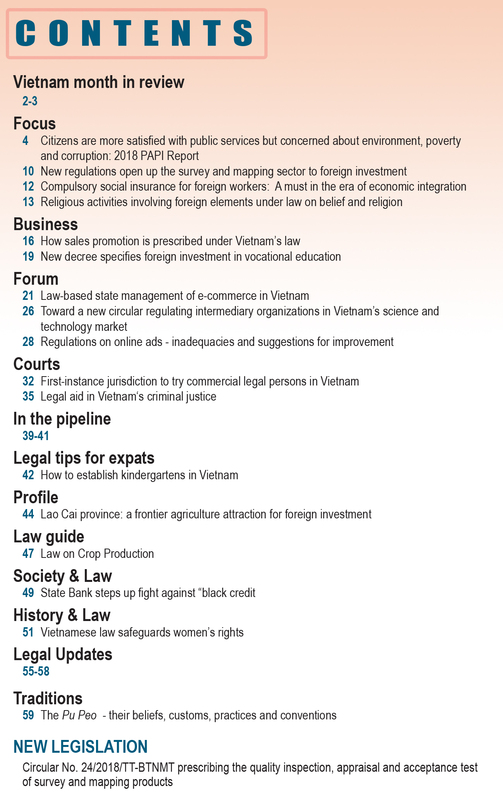 01-KL/TW dated April 4, legislations on organization and operation of institutions belonging to the political system will be further improved in line with the 2013 Constitution, setting up a clear mechanism for controlling the exercise of legislative, executive and judicial powers by state agencies as well as identifying competence and responsibilities between central and local agencies. The law on human rights, citizens’ rights to freedom and democracy and right to oversee and inspect state agencies’ operations will also be perfected to suit the country’s realities, thus creating conditions for the people to involve more deeply into state operations. Civil and economic laws will be improved to facilitate the development of, well as entry into, and withdrawal from assorted markets, ensuring the freedom of enterprises enshrined in the Constitution. Education and training legislations will be revised in adherence to the Party's and State's line of considering education a top priority, the Conclusion says. Meanwhile, the laws on science and technology; health; culture, information and sports; ethnic affairs, population, family, children and gender equality will be perfected with a view to ensuring lawful development of beliefs and religions while preventing the abuse of beliefs and religions to undermine the national solidarity bloc; protecting and promoting cultural heritages; accelerating socialization in the health sector; practicing social progress and assuring social security. Legislations on national defense and security will be developed so as to improve the capacity for protecting the national independence, sovereignty and territorial integrity; maintain political stability and social order and safety; and effectively prevent and fight crimes and social vices.